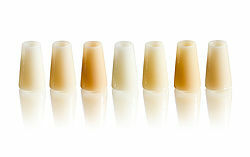 The full-ceramic high-performance program of BEGO Medical is expanded by the new multilayer KATANA Zirconia UTML (Ultra Translucent Multi Layered). 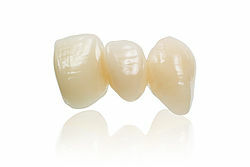 Restorations made of KATANA Zirconia STML allow the light to shine through in a tooth-like manner in the incisal area. In the cervical area the translucency is gradually reduced. The light transmission of KATANA Zirconia STML in the „Enamel Layer“ is comparable to IPS e.max* CAD LT. The highly translucent zirconium dioxide guarantees not only excellent aesthetic results – especially in the posterior region – but also offers a range of other benefits. 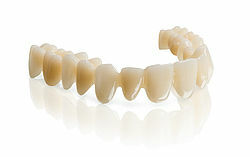 The high translucency facilitates natural aesthetics, which are indispensable for fully anatomical crowns and bridges. 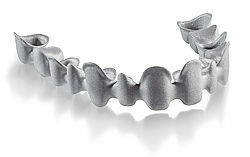 The high-strength zirconium dioxide is suitable for one-piece and two-piece abutments, single-tooth restorations as well as bridge frames with up to 16 units. The impressive strength of the material facilitates the production of bridge frames with up to two adjacent pontics. 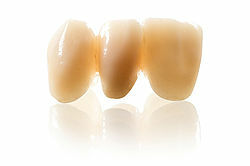 IPS e.max CAD is a lithium disilicate ceramic for CAD/CAM technology. 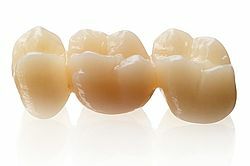 Aesthetic single-tooth restorations and 3-unit bridges, inlays, onlays or veneers are easy to produce from IPS e.max CAD with the aid of industrial production. The selective laser melting (SLM) procedure, co-invented and patented for the dental industry by BEGO, offers unrivalled quality in the production of metal frames. High-speed cutting is the preferred technique for producing ac- curate Wirobond® M+ frames. 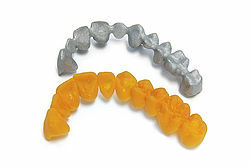 The milling process is also used to produce double crowns and implant-based prosthetic restorations. Restorations made of Wirobond® M+ are characterised by a perfect fit with smooth surfaces and filigree occlusal surfaces. 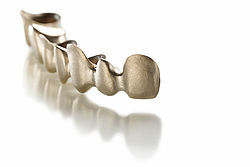 A wide range of precious and non-precious alloys are available for the CAD/Cast® technique. 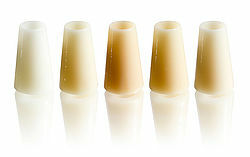 In the BEGO production centre, wax patterns are milled in the computer-assisted process based on your CAD models. 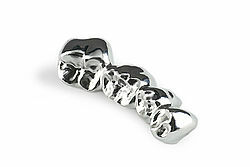 They are then invested and industrially cast in the materials of your choice using the vacuum pressure casting method. You are finally supplied with the cast frame. The press-to-metal technique is already widely employed. This technique combines safe and simple application with reproduc- ible aesthetics. In the rapid prototyping process objects are produced from residue-free combustible plastic, which are used as the base for the ceramic press-to-metal technique. Modelling by hand is no longer necessary.